Prof. A. De Wulf was a Belgian pioneer in research on the anatomy of the brain. 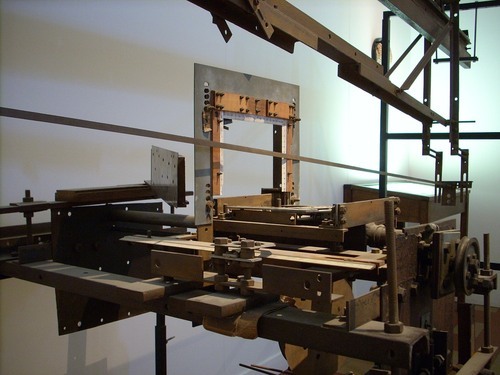 He built this brain slicing machine and used it at home to examine the human brain. The brains were submerged in a formaldehyde solution and consequently 'stiffened'. 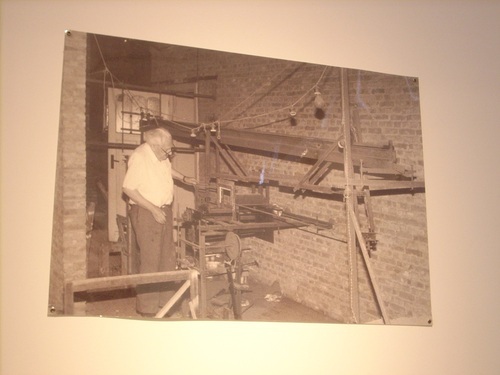 This allowed Prof De Wulf to cut slices of a thickness of about 2 mm. The slices were put between small glass sheets and chemically coloured to get a better view of the structure1. 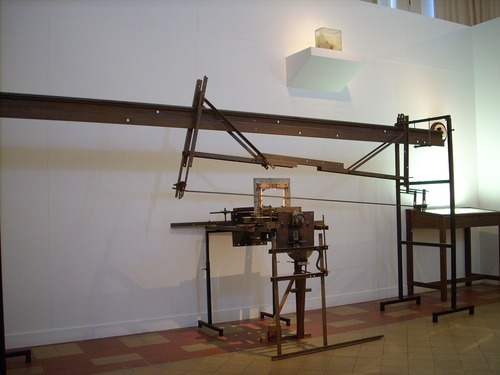 The machine can now be seen in the Museum Dr. Guislain in Ghent.